Barrett’s esophagus is a pre-cancerous condition affecting the lining of the esophagus, the swallowing tube that carries foods and liquids from the mouth to the stomach. 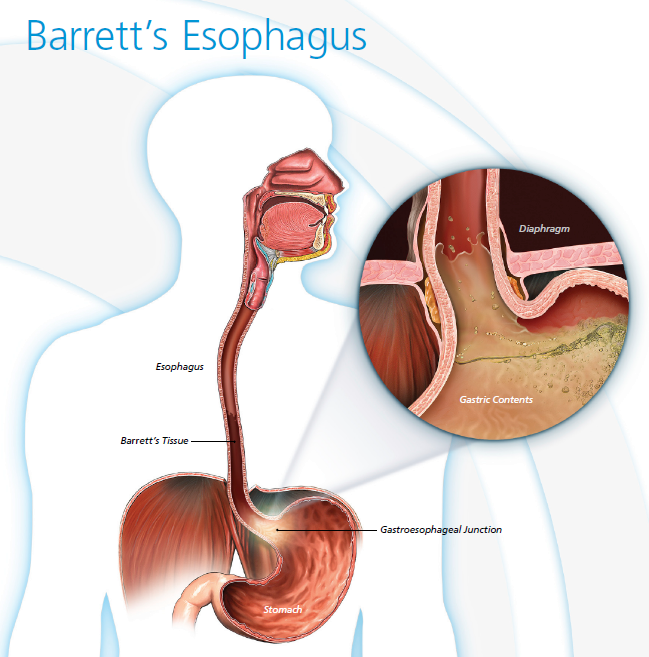 Barrett’s esophagus is estimated to affect about 3.3 million adults in the United States. Gastroesophageal reflux disease (GERD) is a disorder in which stomach acid and enzymes cause injury to the esophageal lining, producing symptoms such as heartburn, regurgitation, and chest pain. In some patients with GERD, the normal esophagus cells are damaged. Over time, this damage can result in inflammation and genetic changes that cause the cells different appearance and microscopically is no longer esophageal tissue, but rather becomes intestinal tissue. This is called “intestinal metaplasia” or Barrett’s esophagus. If a patient has GERD symptoms more than 3 times per week, they should consult their physician. 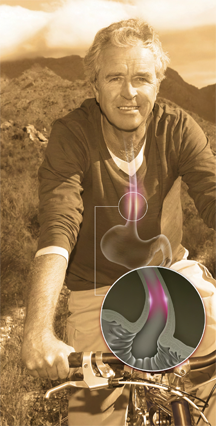 It is estimated that 13% of the people who have chronic acid reflux also have Barrett’s esophagus.